Educating pregnant women, parents, and caregivers about preventing and treating dental disease is critical. Evidence suggests that most infants acquire cavity-causing bacteria from their mothers. 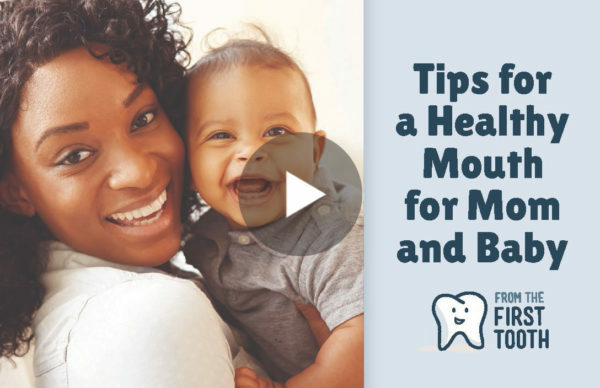 Providing pregnant women with counseling on healthy oral health behaviors may reduce the risk for this transmission and improve the oral health of the whole family. It is also important for families to know that children should see a dentist by their first birthday. Community organizations play a crucial role in educating families about the importance of good oral health. Before the First Tooth has developed a 20 minute virtual training to provide community organizations with important oral health information. Click on the photo below to begin the online training! What’s the Deal with Added Sugar?